A struggle of unparalleled scope, World War II can be difficult to fathom in its totality, but this four-hour feature brings it into focus. Encapsulating both the causes and the major events of the war, this documentary takes you from Japan's invasion of China and Germany's occupation of Czechoslovakia and Poland to Pearl Harbor, the Battle of Britain, D-Day, and the final surrenders of Germany and Japan. Using rarely seen historic newsreels and archival footage, the program provides a visceral, unvarnished look at the war as it was seen in its own era. 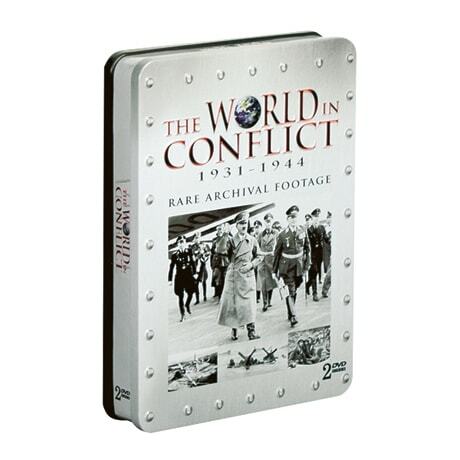 DVD extras include segments on the Kamikaze fighters, the Holocaust, and the Nuremberg trials.